Wesley, Mike and I have been playing a lot of Battleborn lately. Mike and I had the opportunity to play Battleborn at PAX as well as the opportunity to play in the closed and open beta. Together, we have slain many minions of Rendain and lain down our lives to protect Solus, the last star. The three of us debated for a while over who would be the one to write our piece this time around. Because there is so much variety to Battleborn , we thought it may be best if we each wrote something about this game. I am probably more likely to skew my opinion of Battleborn because it is one of the first "next gen" games that has allowed Wesley and I to play at the same time on the same console. Many thanks to the team at Gearbox for their dedication to delivering a rewarding split-screen experience when so many other developers have seemingly abandoned the idea. There is an incredible amount of variety in the game's characters. The 25 characters range in form and playstyle from an affluent racist robot sniper, a rocket-slinging birdman, a corn-fed dim witted behemoth with a minigun, a tiny pyromaniac sorceress with multiple arms, a sardonic old man in a flying chair and many more. At the outset of each match, your character starts at level one, advancing as you kill things, heal team mates and complete objectives. With each level gained, you are given an opportunity to choose between two, and eventually three abilities. These further hone the character into something that better suits your situation. With over 49 billion hero and team combinations (according to Gearbox math wizards), there is more than enough variety to keep the game interesting. Figuring out how best to use a character is incredibly rewarding and keeps me from settling into one for too long. The biggest drawbacks to Battleborn are unfortunately part of its matchmaking system. Many of the large levels are difficult enough to complete solo. Adding more players to the mix ups the difficulty of the match by adding more enemies and upping their health and damage. This isn't at all unusual, in fact it is standard practice these days, but Battleborn sometimes adds too many enemies and makes them too tough to take down. Rather than inviting more friends to help deal with the madness of the enemies, you find yourself trying to avoid adding players when a level overwhelms you. These issues have already been acknowledged by members of the design team who have assured players that they are being worked on. Gearbox has a long history of listening to the community and sorting out the petty whines from the serious issues and meritorious ideas. 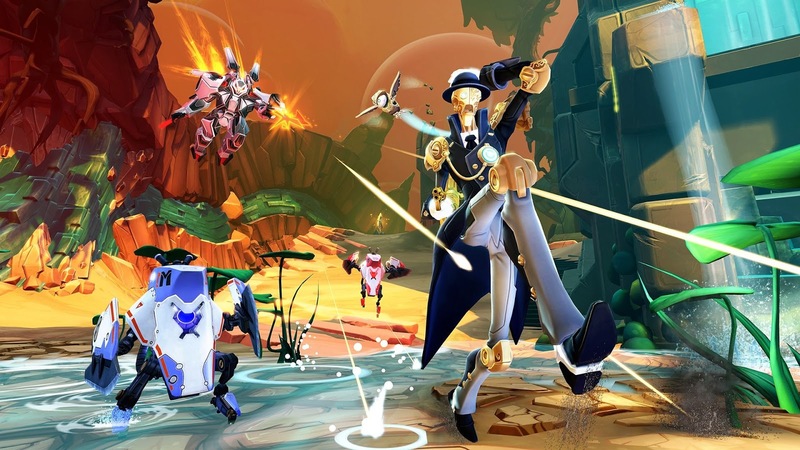 As the game ages, I expect new missions, characters and other (as yet unknown) features to make Battleborn even more appealing than it already is. About a year ago at PAX Prime, I got incredibly psyched for this game when I played the demo and watched the footage for yet to be released features at the Gearbox panel. A universe where space wizards, genetically engineered marines, elves, orcs, birdmen, and more are all fighting over the life-sustaining warmth of last sun in existence? I'm in. I was so in that I went and immediately pre-ordered the game on Amazon. I never saw or heard anything about Battleborn again until a package showed up on my door with the disc. I was still super excited though, so I popped the disc into my PS4 and started playing, texting my friends to go grab it as well so we could play. The experience has been... interesting, and largely positive. I played the Overwatch beta a bit, and comparing the two, the only real plus Overwatch had over Battleborn for me was that I could get into and finish a map in 20 minutes or less, which I appreciate as an adult with life and responsibilities. 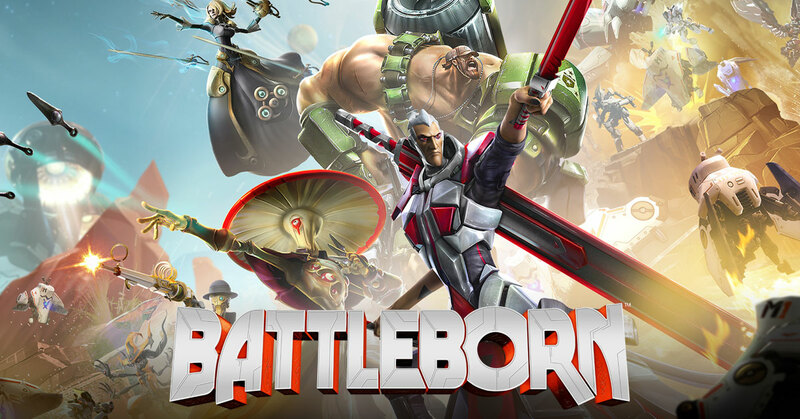 Battleborn requires, generally, at least about 40 minutes of your time for a single sitting. The maps are large and complex, and unfortunately, the matchmaking leaves much to be desired. I absolutely love the depth that the characters have though! You can (and probably will) play the same character many, many times, and there's so many variations on their abilities and playstyles thanks to the selective growth helix you use to advance your character as you play through a map. The huge variations in character play, both within the deep roster of characters and within a single character's numerous possible variations, gives this game a level of strategic thought and replayability that I hope will continue to appeal to a larger and larger audience. Battleborn is frenetic, challenging fun. 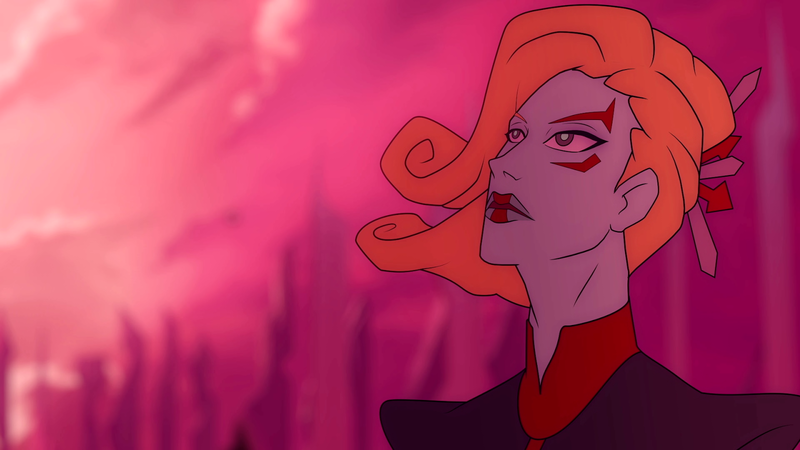 The game hooked me from the first moments of the opening sequence; an Aeon Flux inspired animation that feels like a beloved cartoon that never was. It sets the tone for the game's action and attitude very well. I hoped for more of the same styled animation throughout the game, and certainly got it, although there were a few sequences where the gorgeous animation was mixed with story-board like 2d stills over voice acting and in engine sequences. It was a somewhat jarring and disjointed experience and in those moments I got the feeling that perhaps not all of Battleborn's art assets were fully complete at launch. 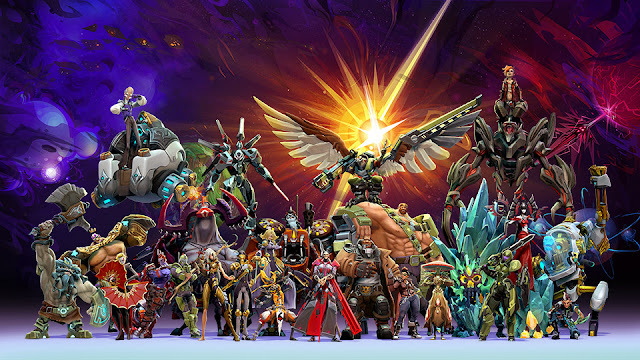 Despite those issues, I was still drawn to the story of Battleborn and its huge cast of characters. As should come as no surprise, Gearbox is unafraid to mix high adventure and serious storytelling with a wry wit and sarcasm that has made playing and replaying the levels a delight. Each level also features multiple dialogue tracks, keeping the missions from becoming repetitive grinds. The voice acting itself is superbly directed and acted, with each character bringing their own distinct personality to match their unique abilities. The choices you make as you advance the character can influence the way they speak or the things they say in the heat of battle, further enhancing the replayability of any given mission. The experience of play was hectic at first. Throughout my first mission I felt like I barely had time to read the helix abilities as I gained them and ended up guessing at which abilities I should take. The mutation helix quickly became intuitive as I found variations that suited my preferred playstyle, helped me better support my teammates abilities or gave you an edge on the mission I was playing. this means that you may never have the same Marquis on each mission and your Montana may never look the same as another player's Montana. All this variety and the endlessly appealing style ensure that Battleborn will be with me for a while.